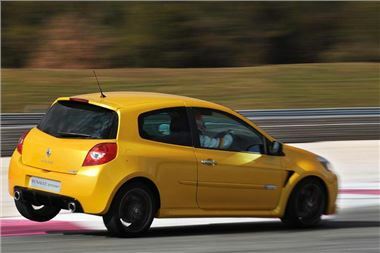 Owners of Renaultsport’s award-winning hot hatches can explore the limits of their track-bred cars on circuit as the 2011 trackday calendar is announced. This year’s events, subsidised by Renault, take in three of the UK’s best-known race circuits - Silverstone, Brands Hatch and Knockhill – plus, there’s the chance to join Renaultsport with a trip to the world-famous Nürburgring Nordschleife circuit in Germany or, for the more time-pressed thrill-seeker, evening track sessions at Bedford Autodrome. Renaultsport has been running its popular trackdays since 2002 and improving the driver’s ability is a crucial element of the day. At every circuit, experienced and trained instructors will be on hand offering personalised tips to improve car control. As part of the programme, drivers have the chance to take the wheel of the latest high performance Renaultsport exotica for a few grin-inducing laps with the Twingo Renaultsport 133 Cup, the Clio Renaultsport 200 Cup or the Mégane Renaultsport 250 Cup. They will also enjoy a “hot” lap in the car from the passenger seat with a qualified instructor at the wheel. Customers can find further information at the dedicated Renaultsport website, http://www.renaultsport.co.uk/roadcars/trackdays/overview/Default.aspx ,on Renault TV on Sky Guide 883 and Freesat 651, at www.facebook.com/renaultuk or by following on twitter @renault_uk.